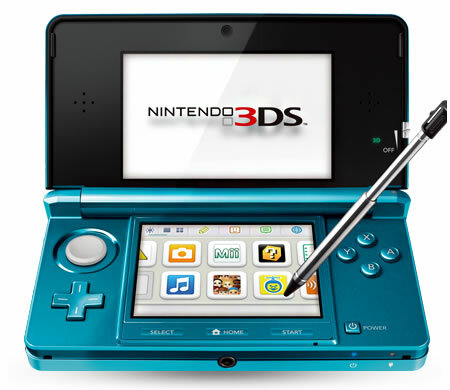 Nintendo has revealed the details on pricing and availability for its highly anticipated Nintend 3DS. The dual screened autostereoscopic 3D handheld boasts 3d graphics without the need for special glasses and retains the familiar form factor of it’s predecessor. Nintendo 3DS will become available on the 26th of February in Japan, March 25th in Europe on, 2011, and will be released in the U.S. on the 27th of March. In will cost ¥25 000 in Japan, €249 in Europe and $249 in the North America. More than 30 games are expected to be released for the Nintendo 3DS between its arrival in stores and summer, including Nintendo’s own releases Nintendogs + Cats and submarine game Steel Diver. Other games expected to be released soon after the systems debut include Super Street Fighter IV 3D, Tom Clancy’s Splinter Cell 3D, Madden NFL Football, Edition and Resident Evil: The Mercenaries 3D, Super Monkey Ball 3D and Star Wars III: The Clone Wars.